Two years remain until the parliamentary elections in Cambodia. 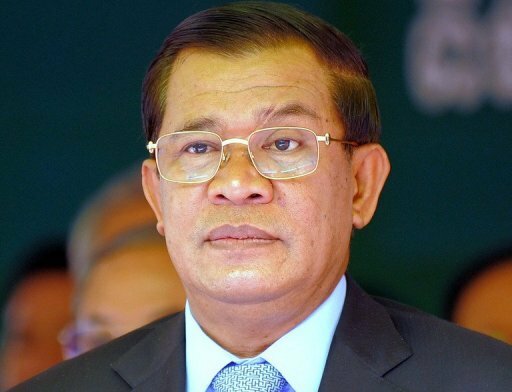 This is a really rather short period considering that the position of the current political regime of the Cambodian People’s Party (CPP) remains in doubt. Despite the Party’s success at the municipal elections in 2015, there is no confidence that it may win and retain power at the parliamentary elections. The CPP is overloaded with a host of problems. Primarily, everyone is talking about corruption in the party, its nepotism, detachment from the people, who analysts state have long tired of seeing one and the same governing figures at the top of Cambodia’s political hierarchy. There is even the feeling that the leadership of the Party won’t plan to renew its policy and introduce new leaders even if it recognizes its problems. In January 2015, at an emergency session of the CPP, it was noted that “the corruption, nepotism, abuse of powers, violation of the laws spread among the Party’s members had undermined the confidence of the people and raised doubts about its right to rule the country.” The introduction of reforms inside the Party and society was named as a life-and-death issue for the CPP’s future at the session. However, almost two years have passed since the session and the Party has not even started to solve its acute problems. There are no new young and attractive leaders in its leadership, yet the provincial level has rather competent and authoritative governors of provinces – CPP members that might change the image of the ruling party if they became members of its leadership. Despite the fact that the number of members of the Central Committee has doubled, it is still dominated by the same veterans of the People’s Revolutionary Party who together with Hun Sen and supported by Vietnam and the Soviet Union built the People’s Republic of Kampuchea (1979-1991). Over this period, they went from being “comrade” to “Mr” and became even more detached from real life. The style of the political leadership was supposed to be corrected, and the session would promote steps aimed at a symbolic detachment from the personal leadership of Hun Sen. These expectations were not met. Soon after the session, he took up the position of CPP Chairman and consolidated both administrative and party powers into his own hands. The relations of the authorities and the opposition have been developing in a complicated and ambiguous way. At first, the Cambodia National Rescue Party (CNRP) headed by openly pro-Western and anti-Vietnam policy maker Sam Rainsy, which obtained only 12 seats fewer than the ruling party at the elections in 2013, boycotted the National Parliament in protest against the alleged falsification of the figures and violations that prevented their victory. Then, pro-Western nationalists agreed with Hun Sen to return to the Parliament and started active work aimed at spreading their influence in the rural areas by opening its branches in the traditional CPP territories and carrying out protests in their interest. This activity led by the opposition clearly frightened the ruling regime and Sam Rainsy emigrated while the other leader Kim Socha and his supporters were brought to justice for the organization of illegal anti-governmental protests. At the same time, Cambodia’s leader initiated propaganda attacks on the opposition leaders, organised protests demanding the resignation of its representatives from public offices. A number of opposition members were even beaten, which was followed by the initiation of criminal cases against them. The situation became so serious that the Deputies of the European Parliament threatened the authorities of Cambodia with suspending the provision of economic assistance. This is a serious warning for Hun Sen, as the European Union is one of the leading donors to Cambodia’s economy. As for the tactics of the opposition, it is now refraining from mass protest campaigns in order not to give the authorities reason to expand repressions. At the same time, using non-commercial organisations related to it and gaining Western subsidies, the opposition is generating the conviction in society that the ruling regime is against the people, and its leaders should be judged and their property should be confiscated. It also proposes a social and economic program that presupposes an increase in the minimum wage and retirement benefits, and a reduction in fuel and electricity prices. Though the program is purely populist and unreal, it is attracting people who have started to perceive the CNRP as a political force able to change the situation in the country. While assessing the situation in Cambodia and its prospects, it becomes clear that the People’s Party has no clear pre-election strategy and it is not mobilizing party members for successful elections. The elaboration and presentation of a pre-election strategy might influence those who have doubts about their preferences and those who have not decided how to vote in 2018. In September, I had a chance to talk with the delegation from Cambodia at the Eastern Economic Forum in Vladivostok. I was interested in the mood in the People’s Party in the run-up to the elections. One of the high-ranking members of the delegation answered, “We are very scared”, which just confirmed that our conclusions were correct.